One of the greatest draws and amenities in the Central Pacific is the marina at the Los Suenos Resort. Currently it is the only government sanctioned marina operating in Costa Rica. The marina’s 200 wet slips accommodates luxury boats and yachts ranging from 30-180 feet in length and features an additional 100 dry slips. Newer Bejuco beach home for sale. US$275,000. 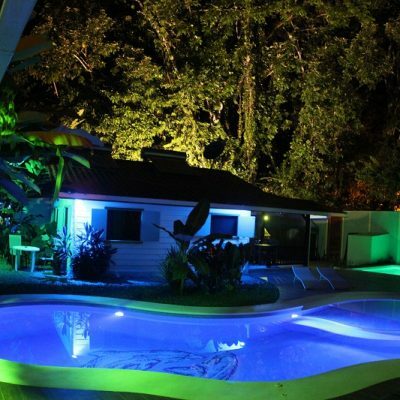 New Single Storey Home For Sale in NaturaPark in Brasil de Santa Ana, Costa Rica For $425,000 Furnished and $395,000 Unfurnished – 3 bedrooms, 3.5 bathrooms, TV/Family Room plus Maid’s Room/Office with free video. Open living areas, custom kitchen with hardwood cabinets, granite countertops, vaulted ceilings, two bedrooms with ensuite bathrooms, huge front terrace, indoor utility, carport, and storage. This spacious 325m2 (3,498 square feet) home Home is situated in the Central Valley hills at an elevation of 2,100′ above sea level. It’s only 10 mins from Orotina, 20 mins from Atenas and 45 minutes from the International Airport in San José. 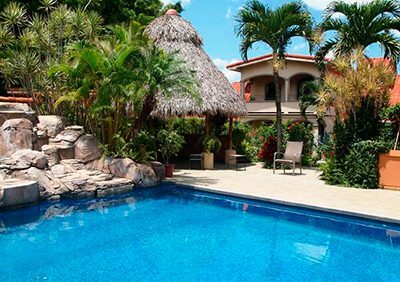 Well Maintained 3 Bedroom Ranch Home with Pool in Atenas, Costa Rica. US$364,900. 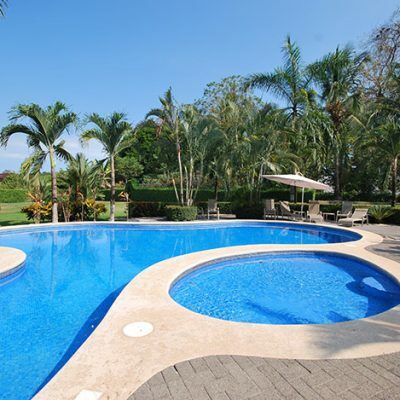 Perfectly situated on a 1,000 m2 (.25 acre) landscaped lot, with 186 m2 (2,000 s.f.) of construction. 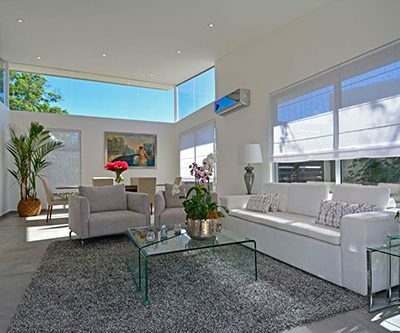 The large open living areas with high vaulted wood ceilings are perfect for entertaining. 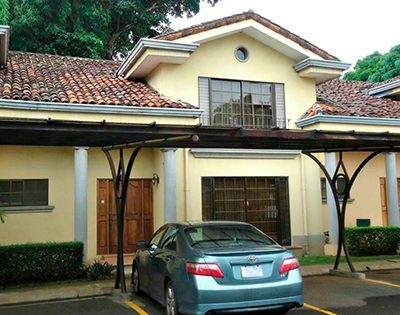 This Colonial 2 bedroom Townhouse for sale in Santa Ana is located in Urbanization Rio Oro, close to commercial areas Rio Oro is an upscale residential area north of Lindora. 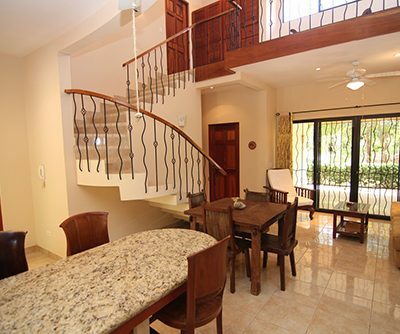 Villa Linda is a very unique Titled Oceanside property that boasts 3 bedroom, 2.5 baths, large loft and 1,500 square feet of well-constructed & very spacious living space. Los Jardines is a condominium of 26 units with two pools, beautifully landscaped gardens, and several gazebos for your leisure. It is located in Pozos de Santa Ana, very close to high quality shopping and the Parque Valle del Sol golf course. 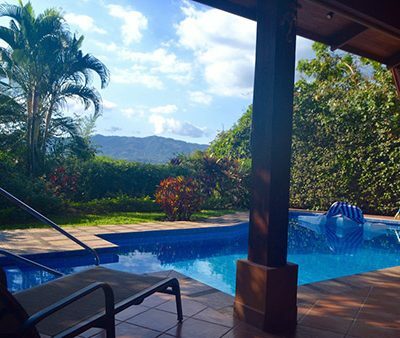 Stunning Views From Your Town Home in Hills of Jaco US$179,000. 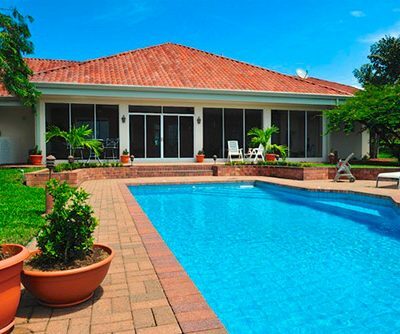 This hidden gem of a community features just 8 homes, which share perfectly manicured grounds, common area pool, and large rancho, bbq area. Welcome to Casa Blanca! This amazing custom home was just recently completed and has the most awe-inspiring ocean, mountain and valley views in the area! Comfortable townhouse with small courtyard garden in back, nice living room & kitchen, 1/2 bathroom, maid’s with bath and laundry dowstairs. This is the best deal we have seen in Atenas with 4.5 acres of usable land, great views, and a well built and maintained house. 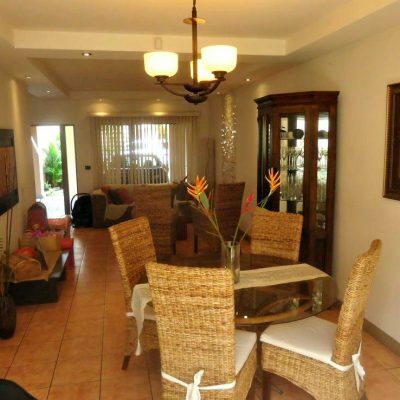 Nicely remodeled with high ceilings and large spaces, this 3BR modified traditional home is in a nice location between the center of the lovely village of Tronadora and the lake.